The new iPad is simply one of the most enjoyable ways to keep up with your Facebook friends, share your status and location, post pictures and videos, and more. It's instant-on, it has a big, beautiful screen, and the multitouch interface makes it a lot of fun for social networks where ever you are, whenever you're in the mood. To get all the latest news, reviews, and help from iMore right on Facebook, make sure to like us as well! While you can always access Facebook.com directly through your iPad's Safari browser (see below), due to the way iOS works, there are certain things you just can't do over the web -- like upload pictures and video. 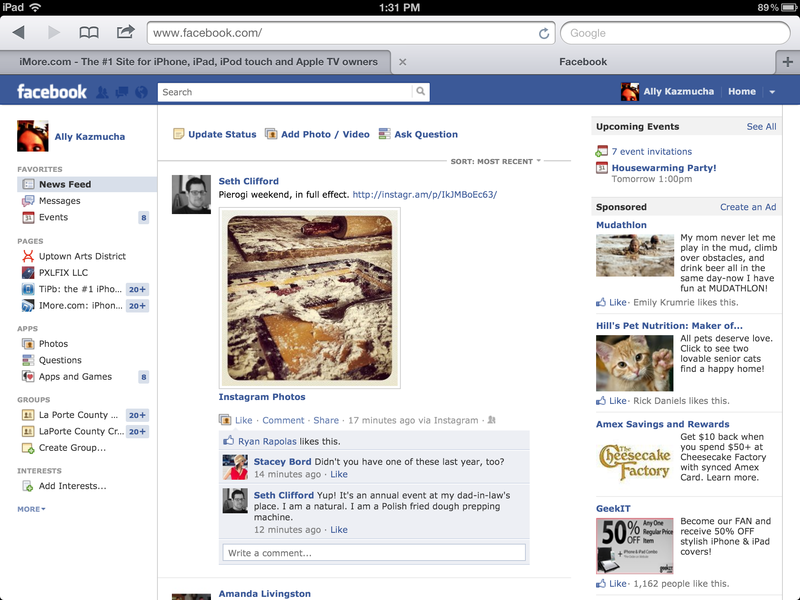 In order to do those things, and to get a more native, iPad-like experience, there's the official Facebook for iPad app. Download Facebook for iPad from the App Store (link below), sign in with your Facebook username and password, and you're all set. You'll receive push notifications and be able to update your status, add photos and videos (here's how, check-in to places, and view all your friend's profiles and activities as well. While the Facebook for iPad app is extremely convenient, Facebook has an unfortunate reputation for buggy apps on iOS and all sorts of annoying issues remain unfixed. (Most recently, tagging photos or statuses). 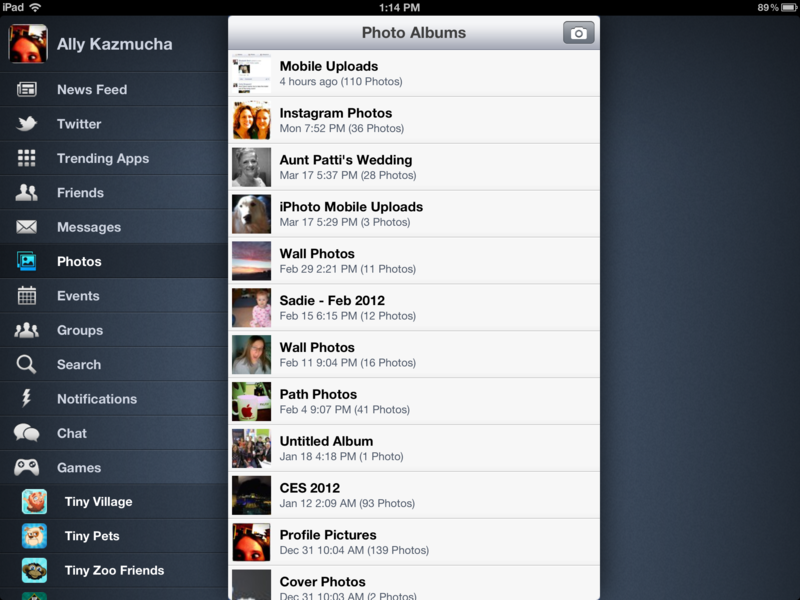 If you run into issue with the official Facebook for iPad app, you can check out some alternative suggestions below. While the Facebook app is free and is a decent solution, the interface may simply not be to your taste or you may be running into one or more of their infamous bugs. If that's the case, you can always try some of the alternative Facebook apps available in the App Store. MyPad has been around for quite a while and, before Facebook released their official iPad app, filled the gap quite nicely. It's also got Twitter integration and some other features that may make it more convenient for you than the official app. Personally, I prefer the overall layout of the official Facebook for iPad app, but MyPad has been more stable and less buggy for me. They've got a free version available as well as a premium version with no ads. 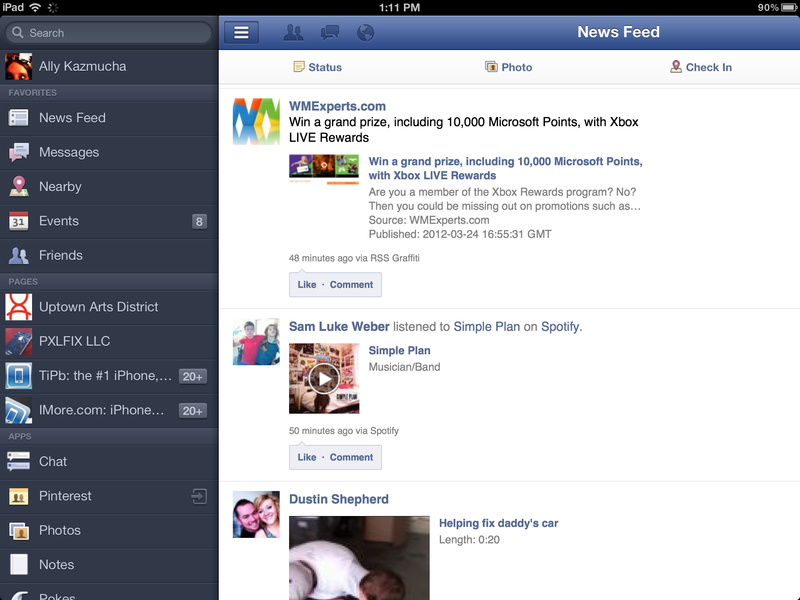 Friendly for iPad is similar in terms of Facebook functionality to MyPad but the layouts are quite different. Friendly doesn't feature the same integration that MyPad does to other social networks such as Twitter, however, so if that's important to you, MyPad is probably the better choice. If it's not, choose whichever one looks more visually appealing to you. Just like MyPad - Friendly has a free version as well as a paid version with no ads. While the Facebook for iPad app has more functionality than the mobile web version, your iPad can actually load the full blown Facebook.com website. I've actually relied on it several times when the actual application wasn't working well or kept timing out. That's it. You'll be able to browse Facebook, comment on statuses, pictures, and more. The catch with using the web version of Facebook from your iPad is that you won't be able to play games, upload photo, video, and other content like you can from the actual application. Neither the Facebook.com website nor any of the Facebook apps will let you play your favorite Facebook games on the iPad. Fortunately, a lot of Facebook games can be found right on the App Store and downloaded and enjoyed right on your iPad. In many cases, you can even log into them and keep them in sync with your Facebook account so you don't miss a friend or a turn. Just head on over to the App Store and search for the name of your favorite Facebook game. 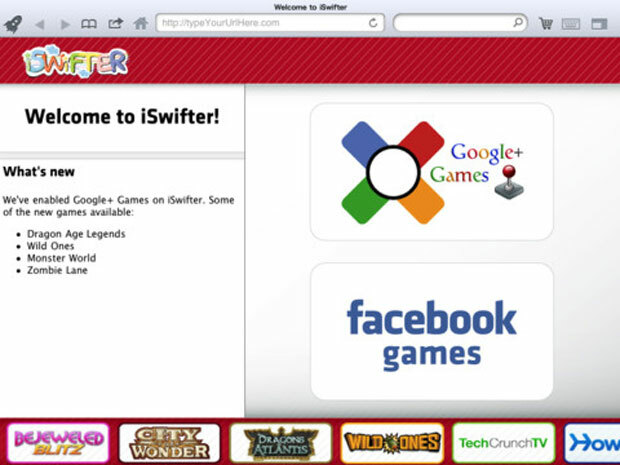 If you can't find your favorite Facebook game in the iPad App Store, you can try the iSwifter app. It lets you access a lot of popular social games that don't have App Store alternatives. 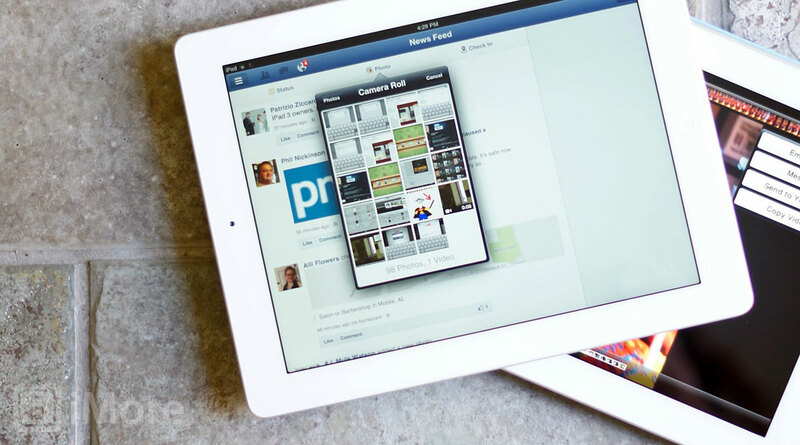 What's your favorite way to use Facebook on your iPad?